‘More than a t-shirt’. That’s the message the OGIO Caliber 2.0 polo sends out. It is not just a t-shirt, it’s a tool, a weapon, made for a man entering battle. When entering battle you need to be fully equipped. Having talent is all well and good, that fire in your belly your born with, but tools? You need to be provided with tools. OGIO International is an award-winning global leader design and manufacturing, recognized for its athlete-inspired technology, and we only deal with warriors like you. To provide you with the best tools you can get. 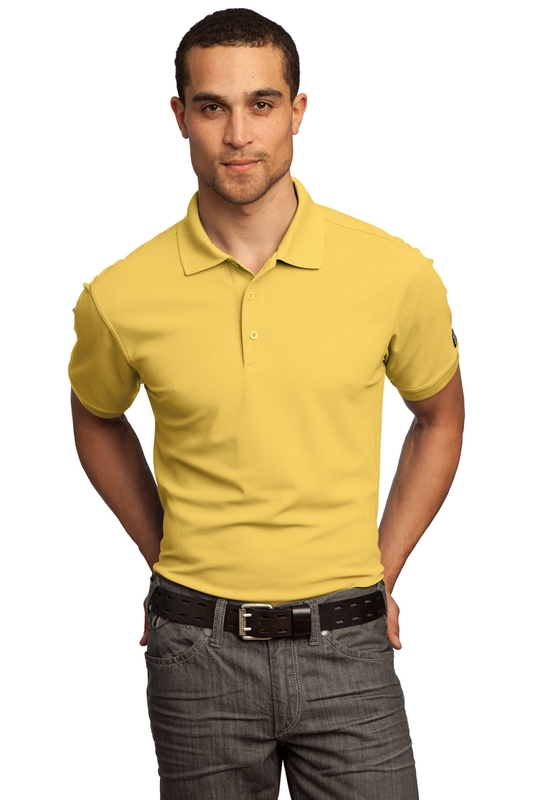 OGIO’s Caliber 2.0 Polo is best suited for men who are active. It is an ideal top to wear while partaking in any sport, whether it be golf, tennis or even motor sport. It is light in weight meaning it is comfortable even after getting hot and sweaty. A polo which is designed to last the greatest of warriors as he works hard to win every battle. These polo’s can are perfect for team sports, schools, colleges or corporate brands. This ultra-cool, stylish tee comes in seven ferociously brilliant colours; Blacktop, Bright White, Electric Blue, Gridiron Green, Navy, Signal Red and Yield Yellow. This colour range gives the tee great versatility. The Gridiron Green is a firm favourite with golfers yet the Electric Blue is favoured by the more casual dressers. We concentrate on giving you the best most comfortable fit possible. We achieve this by making our polo a super light 5-ounce, 100% poly tricot with stay-cool wicking technology which means even on the hottest of days you can always stay cool, calm and collected. There is an OGIO heat transfer label for tag-free comfort, triple-needle shoulders and hem, 3-button placket with OGIO dyed-to-match buttons, a woven OGIO badge on left sleeve so everybody knows you are a champion wearing champion clothing and side vents which provide maximum comfort. The classic polo style looks great on every man, no matter the size as there is such a variety. Adult sizes go from XS, S, M, L, XL, 2XL, 3XL and 4XL. So if you want you, your teammates, your co-workers, employees, friends or brothers to walk into battle together with you fully-equipped to conquer than make sure you are wearing OGIO’s Caliber 2.0 Polo.